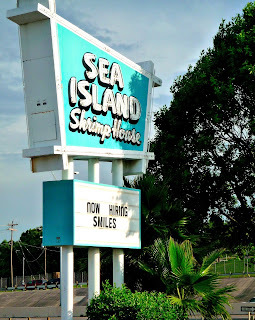 Sea Island Shrimp House is a San Antonio icon. 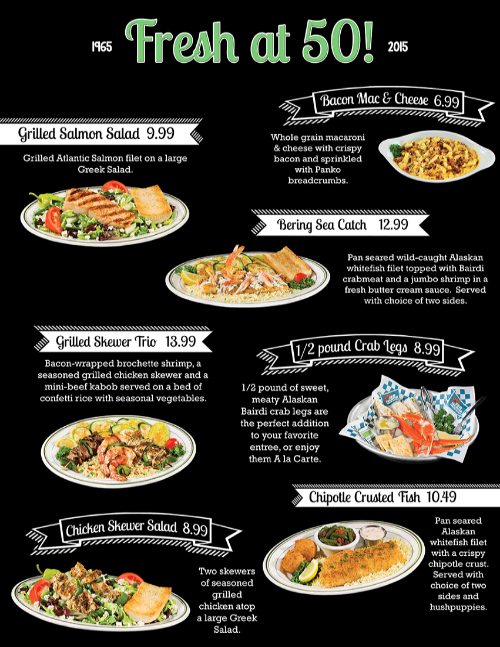 Generations of local residents have been enjoying their delicious, freshly prepared seafood since 1965. I moved from the Gulf Coast near Houston to San Antonio in 2000, and Sea Island quickly became one of my favorite places to eat. After one visit, it was easy to see I'd be a return customer. The Anthony family started Sea Island with one location in 1965. The restaurants is still family owned five decades later, and they have expanded to six locations all throughout the city. Whenever Michael and I are in the mood for seafood? Sea Island is our first choice for their casual atmosphere, delicious food, and reasonable prices! Sea Island and I have two things in common: we're both turning 50 this year, and we're both #FreshAt50! Last week, Sea Island invited Michael and I to visit one of their locations to try some items from their new #FreshAt50 menu. 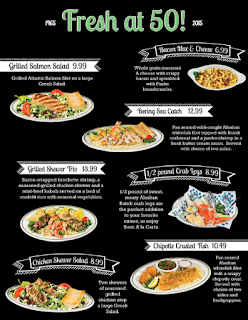 This special menu features lots of great new items to celebrate their 50th anniversary. We arrived at the location near my office for an early dinner and were warmly greeted by the manager. Although we were there to showcase the new menu items...we just couldn't resist starting our meal with our favorite classic Sea Island menu item: Colossal Shrimp! 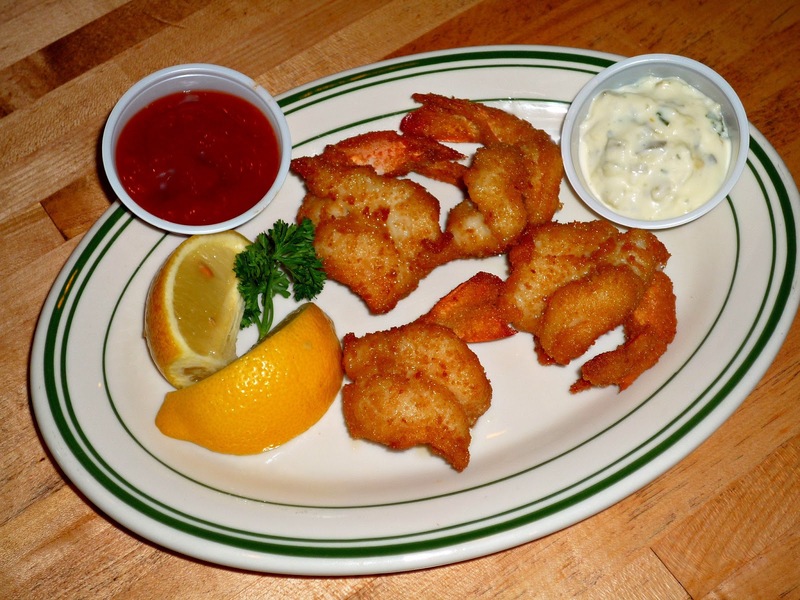 Sea Island uses wild Texas Gulf shrimp, and they're fried perfectly crispy. They're my very favorite item on the Sea Island menu: crispy outside, plump and juicy inside! 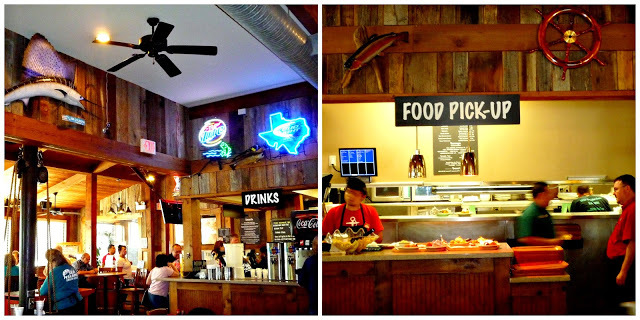 While we enjoyed our Texas-sized shrimp, we enjoyed some iced tea and admired the restaurant's casual nautical atmosphere. We looked over the #FreshAt50 menu and wanted to try everything! Since our stomachs couldn't hold that much food, we decided to try a slightly different approach. We decided to share a trio of new items from the #FreshAt50 menu. First up was the delicious and healthy Grilled Salmon Salad. 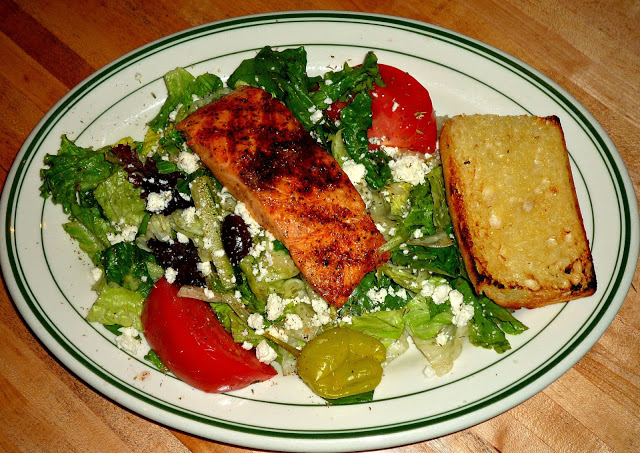 It featured Sea Island's flavorful new Greek Salad, topped with a generous portion of perfectly grilled salmon. The Greek salad had tomatoes, cucumbers, salty feta, and olives in a tangy vinaigrette. It was topped with a seasoned salmon fillet that was wood grilled, for a slightly smoky taste. The salmon was cooked perfectly -- crusty outside and moist inside. This salad was so good! I can't wait to return to Sea Island all Summer long for this healthy, refreshing dinner salad. I love it when food tastes great and is a healthier option! Michael prefers his food on the spicy side, so he wanted to try the new Chipotle Crusted Fish. 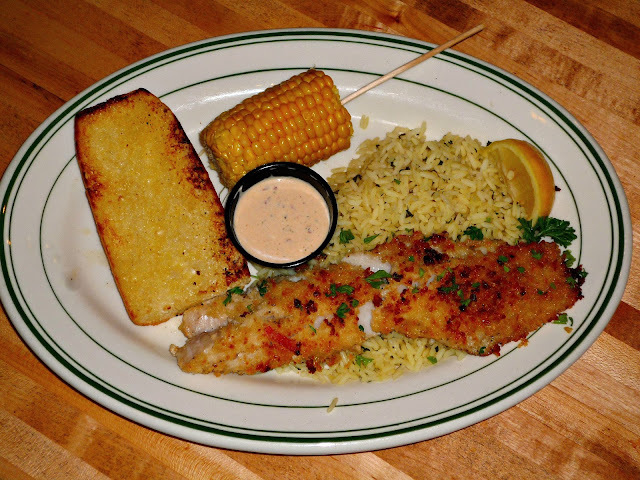 A large fillet of mild Alaskan whitefish is topped with a crispy chipotle crust, then pan fried. It's served with your choice of side dishes and a creamy chipotle dipping sauce. This dish was very good -- crispy, but not deep fried -- and the dipping sauce had the perfect amount of heat. Sea Island is known for their seafood, but they also offer chicken and beef tenderloin skewers for those who don't eat seafood. The #FreshAt50 menu is offering a Grilled Skewer Trio so guests can enjoy small skewers of grilled chicken, shrimp, and beef skewers. 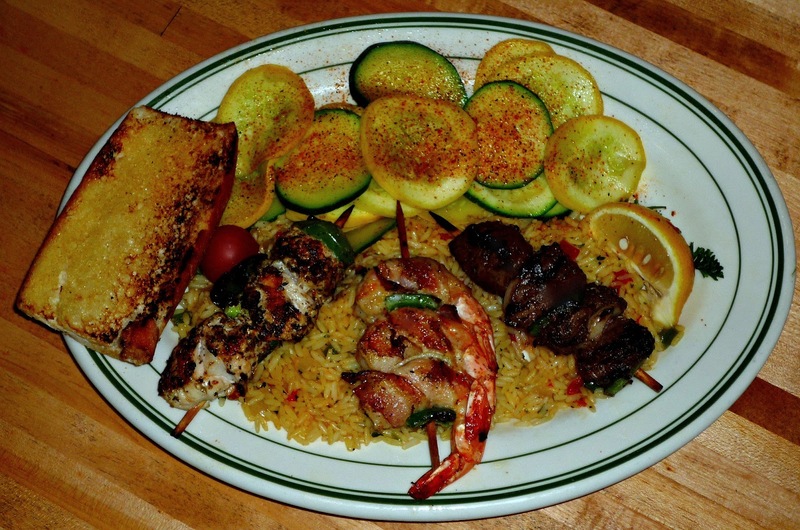 The meat and shrimp cook up tender and juicy, and the skewers are served with rice pilaf and grilled squash. This dish is perfect when you can't make up your mind what you're hungry for -- just have a little of everything! 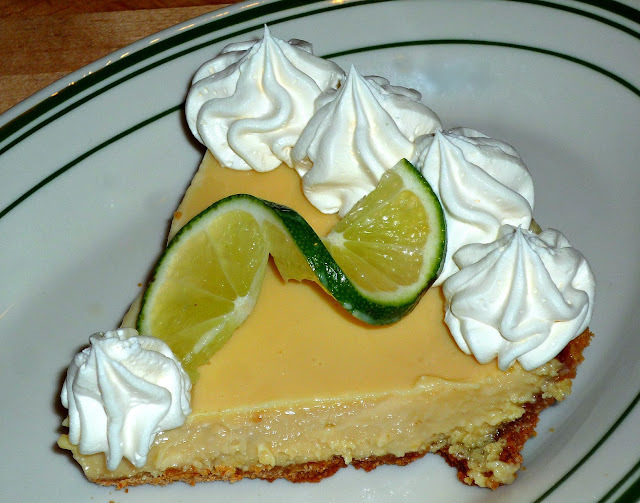 We were feeling pretty full by then, but we just couldn't resist sharing a slice of Sea Island's house-made key lime pie. The graham cracker crust is crunchy, and the creamy filling is a perfect combination of sweet and sour. So good...the perfect ending to an amazing meal! During its 50-year history, the Anthony family and Sea Island has always been committed to giving back to the San Antonio community. This is another reason that I'm such a big Sea Island fan! The entire month of July, Sea Island is going to celebrate its 50th anniversary by donating 50-cents from every sale from the #FreshAt50 menu to the San Antonio Food Bank! The San Antonio Food Bank provides food and grocery products to more than 500 partner agencies in 16 counties throughout Southwest Texas. Its mission is to fight hunger in Southwest Texas through food distribution, programs, education, and advocacy. I hope my San Antonio-area readers will visit Sea Island in July to enjoy a fantastic seafood meal...and support a worthy local cause! Disclosure: Sea Island provided a complimentary dinner to facilitate this article. All opinions expressed are my own.